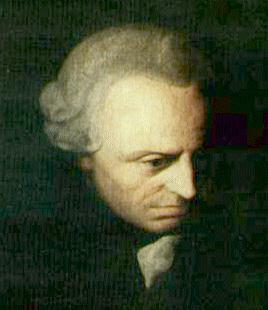 Kant has been described as a “typical and supreme representation of the enlightenment” (MacIntyre, p. 183). His philosophy is described as deontological, as it rests on the notion of duty or moral obligation. His moral philosophy rests on fundamental notions of the good will; moral law; moral duty; hypothetical and categorical imperatives. Good will is essentially the fundamental notions on which morality and ethical theory can be argued. The moral law is a universal moral law which is binding to everyone (Grosch and Large, 1994). This leads to the categorical and hypothetical imperatives, which are commands expressed as absolutes (categorical imperative) or as unconditional commands expressed for the sake of itself and follows logic (hypothetical imperative). The notion of duty arises to express the moral obligation of humans based on reasoning and acting for the sake of duty. The moral law is a pivotal term in Kantian philosophy. It refers to the ultimate good in which individuals are aware, some more than others. This awareness relies on practical reasoning and leads to distinguishing between what is a good action in-itself, and what action is bad in-itself. Kant takes this further and emphasises a human obligation to the moral law, leading to a moral duty. This essay will discuss what Kant means by the „moral law‟ and relate it with the notion of duty. For Kant, philosophy is not based on what man „actually‟ does, but what man „ought‟ to do. We see therefore that his moral philosophy is based „a priori‟ in that we cannot base what we ought to do by examining whether we do so or not. We can also see that Kant is trying to find a universal ethical theory in which all mankind can aspire to achieving or „ought‟ to abide by. His entire enquiry is to discover the origin in practical reason of the fundamental principles „according to which we all judge when we judge morally‟ (Copleston, p. 309). Good will is the only real „Good‟, and it is not always obviously clear to us. Kant sees feelings and desires as unreliable and submissive. Concerning the categorical imperative, it is based on unconditional commands that bind each individual at all times. It is applicable at all times as it asserts what one must always do, for example, one must always tell the truth. The categorical imperative comes from principles that state we must act according to a moral law that has universal applications. For example, what is fair for one is fair for all. It is an absolute, universal moral obligation, characterised by what one „ought‟ to do. As Kant puts it, always acting “in such a way that the maxim of your action can be willed as a universal law of humanity.” The hypothetical imperative comes from „if-then‟ principles, for example if you want something to happen, you must will something else to happen. It comes from the practical necessity of an action not necessarily moral in nature. He distinguishes between acts done in accordance of duty and acts done for the sake of duty. The acts done for the sake of duty are the only actions which have moral worth. It seems that the less inclination one has to do our „duty‟, the greater the moral value of our action has, if we actually perform in accordance of our duty. The more we have to overcome our inclination to do our duty, the more moral the act is – our „natural‟ inclination, it seems, is misguided. However, Kant acknowledges acting in accordance to a natural desire to do Good. This, it seems, is misguided but still not altogether improper. He describes acting in a natural inclination for acting to benefit others as „proper and loveable‟, referring to philanthropists, do-gooders and anyone who wishes to do right for the sake of pleasure or other motives. For Kant, when we perform our duty against our natural inclinations, the fact that the action is done for the sake of duty and not simply out of a natural tendency is clearer that it would be if we had a natural attraction to the action. The good will is determined as a decision made on the basis of moral law. Moral law is determined by the moral demands of the situation. For Kant, the term „law‟ refers to constraints on human desires motivated through duty (Kerner, 1990). This can be compared to other motives, for example, self-interested, self-preservation, sympathy and happiness. These actions do not have moral worth as they come from a „natural‟ human tendency to preserve oneself and one‟s self interest. If we were to continue with this and not consider the moral worth or moral duty then we are not acting morally as we fail to consider extraneous interests which have the greater impact on the greater outcomes. It is clear from this that Kant argues for a position of moral universalisability. Moral worth does not come from the consequences of which the action entails, but comes from the integrity on which the moral duty rests upon. An obvious objection is that he may be underestimating human nature, or he may have an imperfect view of human nature (O‟Neill, 1989). This has been seen in criticisms of Kant proposing that he is a product of the enlightenment period, and that his views on human nature may need to be revised. It may be possible to overlook such objections and focus on the practicality of what Kant is proclaiming, for example: consider a bankrupt country desperately in need of financial aid from other countries. On this large scale, the moral good, as Kant may see it, would be to help the country in the best possible way, despite the backlash of your home countries criticisms and raising taxes. We have a moral duty to help each other out – in the grand scale of things – despite personal and economic interests. To do so will allow the greatest number of people to benefit in the larger scale, despite short term suffering. There are complicated examples of the moral duty described by Kant. Such acts appear morally good, but may not come from a moral perspective. Such actions would be to create a personal benefit in the grand scheme of things, despite the appearance of a morally contentious action. For example, consider a country financially supporting a country through an economic crisis at the cost of resources from the challenged country, or aiding the other country to appear morally contentious by other countries, or indeed for the other country to help your country if a reverse situation were to occur. If the country helped the other one because it was the right thing to do, then some moral worth was in the action. The moral duty must be motivated in the right sort of way as well as conforming to the moral duty. A more personal example of acting according to the moral duty is that of an exhausted mother getting up to tend to her crying child because caring for the child is the right thing to do. The mother could easily try to leave the child soothe itself back to sleep or let another person tend to the child if the resource is available. Acting out of no inclination, but respect abides by the moral duty. Praise from acting on moral duty is only warranted if the action used reason to guide the action of duty. Doing so indicates an action based on a capacity for doing the right thing and an awareness of when it is necessary to do so. Praise should never be the driving force of the moral duty. We can see that moral duty is based on an individual capacity to do right “only what is connected with my will merely as a ground and never as an effect…can be an object of respect” (Kant, Groundwork of the Metaphysics of Morals 4:400). Some actions are done in accordance with the moral duty, and others are done for the sake of moral duty. It is the actions done for the sake of duty that are truly connected to the moral law. Action only have moral worth is they are done for the sake of duty. If the action is done on the grounds of moral duty, then the action is in accordance with moral duty. However, if the action is done on the grounds of a non-moral foundation, (i.e. fear, inclinations etc.) then the action is done in accordance with duty. This distinction is important for Kant. There are some questionable aspects to Kant‟s moral philosophy. For example, abiding by the moral law, if a murderer asked for the location of their next victim, according to the moral law, one would have to tell them. This clearly has some negative connotations. Taking human nature into account, one would surely not abide by moral law. We are therefore posed the question of how useful the moral law and moral duty is in relation to the practicality of human honesty. Surely one could still act ethically by acting in such a way to deviate from Kant‟s moral law and still act in accordance to moral duty, but of course for the law to stand on its own, one cannot deviate under any circumstances, so one is left with giving the location of a victims location to a murderer on one‟s conscience. 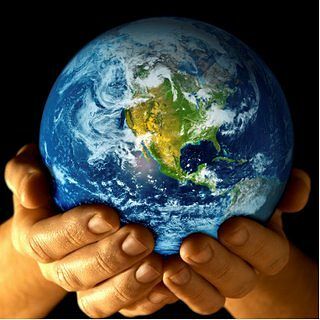 In this sense, the moral law and moral duty falls at the hands of human nature, which it desperately tries to overcome. From this we can see that it does not necessarily matter what action is performed, to act according to moral duty, one must follow the moral law. For Kant, everything in nature happens according to laws and humans can act in order to conform to laws (Kerner, 1990). The moral action is that which acts on the intentions of moral law through reason, and not on primitive inclinations. Truth is an important component of moral duty. This of course cannot be driven from an inclination. A lie of any kind harms humanity, even if for the benefit for the greater good. This is because it harms the respect that moral law rests upon. The aim of the moral will is always the greater good. The good will follows from moral law out of respect for good in itself. We use reason in order to identify what is morally good, as inclinations are often insufficient in identifying the good for the sake of good. He likens acting on inclination to primitive animal instincts, wherein we rely on basic primitive forces in action. For example, hunger is a natural inclination and doesn‟t use reasoning faculties in action. When one reason‟s with the moral law, one is acting in accordance to moral duty. Acting on inclination is psychological and acting with respect to reason conforms to the moral law. Kant emphasises reasoning as a higher human faculty as reasoning is a human ability to make rational choices. While the moral duty is not altogether natural, we must utilise reasoning as it separates us from other animals. It is in this that he proposes that humans are „ends-in-themselves‟. By this he means that human beings are not held confined by natural desires or inclinations. To be captivated by desires would be a primitive form of life for Kant. The Good Will is not derived from what good it accomplishes, it is based on human reasoning faculties to recognise and respect the moral duty. The will is another distinction between animals and humans. 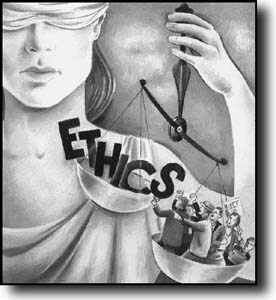 Kantian ethics aims to argue for an ethical theory on notions of consistency and rationality rather than upon considerations of desire and preference (O‟Neill, 1989). However, Kant alludes to conceptual inconsistencies in the theory. There seems to be a disconnect between what human nature should or „ought to‟ aspire to and what humans actually can do, or want to do. The individual who abides by the moral law is described as a person who may find the whole notion of acting in accordance to the moral duty as unpleasant, wherein they may consciously base their actions contrary to natural inclinations. This just does not seem practical, especially since there are no other incentives to behave in such a way apart from a culturally specific ideal of what is the „Good Will‟ and such a view is fallible and may be unethical in its very notion. For example, one may lose one‟s motivation if they must act in a way completely contrary to their inclinations, when acting in accordance with one‟s inclinations does not cause any harm and is arrived at through some reasoning process. Another objection may propose that if we are so bound by the moral law as to restrict our natural behaviour, then the moral law restricts our freedom and challenges our freedom to assent to the moral law and categorical imperative. On another point, there seems to be contradictory arguments for the maxims of moral action. If we can establish a moral duty whereby one must preserve life at every juncture, then this clearly would conflict with always telling the truth if one must disclose the destination of an individual to a murderer. Despite these criticisms, Kant‟s moral theory is one of the most powerfully argued and carefully presented justifications for belief in rational moral principles (Grosch and Large, 1994). The notion of Good Will sets about the argument of moral law, and this directly contributes to the notion of moral duty. This essay has described the moral law and moral duty in a united way, in that the two depend on each other. They are lie at the core of Kant‟s moral philosophy. Copleston, F. (1999 (1st pub. 1960)). A History Of Philosophy, Vol. 6. Cornwall: Burns and Oates. Grosch, P. and Large, W. (1994). ‘Always tell the truth and Always keep your promises’ Kant’s Categorical Imperative. Dialogue, Issue 3 , 8 – 15. Hackett, ed.Kerner, G. (1990). Three Philosophical Moralists. Oxford: Clarendon Press. MacIntyre, A. (1998). A short history of ethics (second ed.). London and New York: Routledge. O’Neill, O. (1989). Constructions of Reason: Explorations of Kant’s Practical Philosophy. New York: Cambridge University Press.